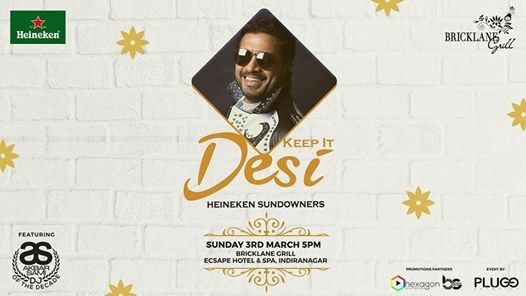 Join us this Sunday as we bring in the sundowner with the DJ of the decade, a superstar remixer and the King of Bollywood music Dj.Akbar Sami! @ Bricklane Grill, Escape Hotel & Spa, Indiranagar. 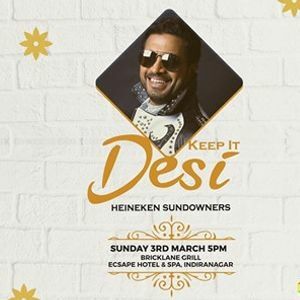 Guestlist valid for couples and ladies till 7pm onwards.